STD Web Service Framework - Version 2016R0 Released! Web Service Framework - v2016.0.0.55 - Released! Software Tool & Die Inc are pleased to announce a new release of their Web Service STD Foundation Classes for IIs (STD FC IIs) - version 2016.0.0.55 (2016R0). 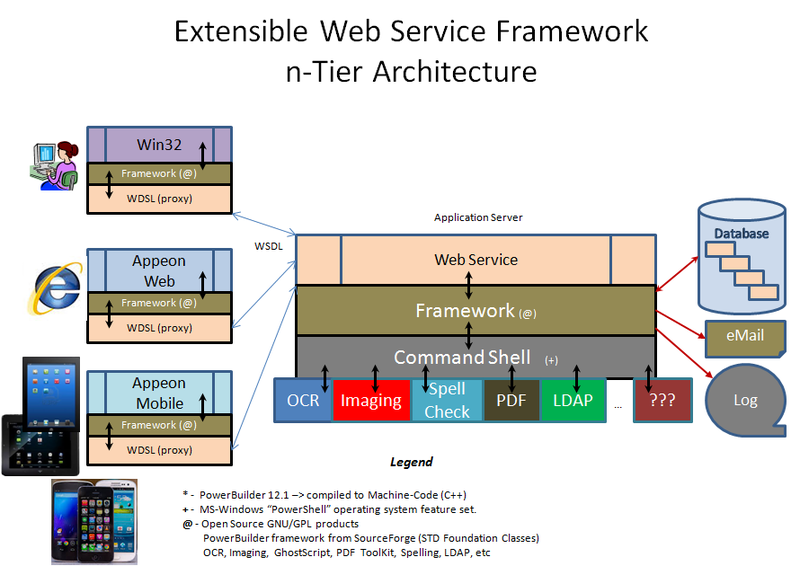 The updated Web Service IIs framework is solely targeted to helping PowerBuilder Classic developers, to help develop .Net based Web Services and deploy these to IIs. The IIs based framework takes advantage of RAD techniques, employs an MVC (Model, View, Controller) architecture for superior performance, flexibility and extend ability! The STD Web Service framework is free and can be downloaded from its STD Foundation Classes SourceForge project website. Removed the "Crypto32.DLL" and "CW3220.DLL" files from the framework! Removed external references to the "Crypto32" and "CW3220" DLL's in the nc_crypto_master base class. Added new function "of_base64_stringtobinary" to the nc_crypto_master base class. Added new function "of_base64_binarytostring" to the nc_crypto_master base class. Added double quotes around the XOPY file names to handle file path spaces (nc_business_class_master). Ported "ns_DS_WebService_Master" class from the Integrated framework for processing within IIs. 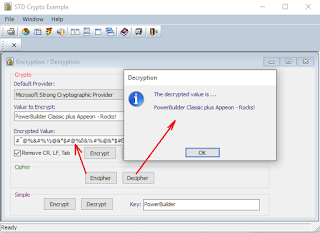 Ported "nc_cipher_master" class from the Integrated framework for processing within IIs. 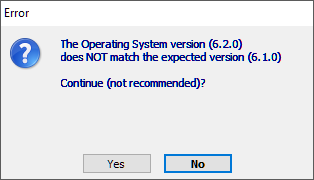 - MS-Windows 7, 10, 2008 & 2012. 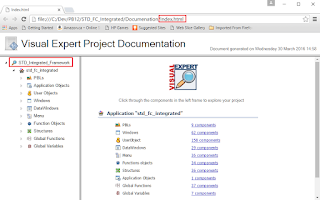 STD would like to thank Novalys Corporation for their support of the Foundation Classes by supplying the VisualExpert product for the framework's documentation. Integrated Foundation Classes (Service Pack#1) Released! Integrated Foundation Classes (2016R1-1) Released! 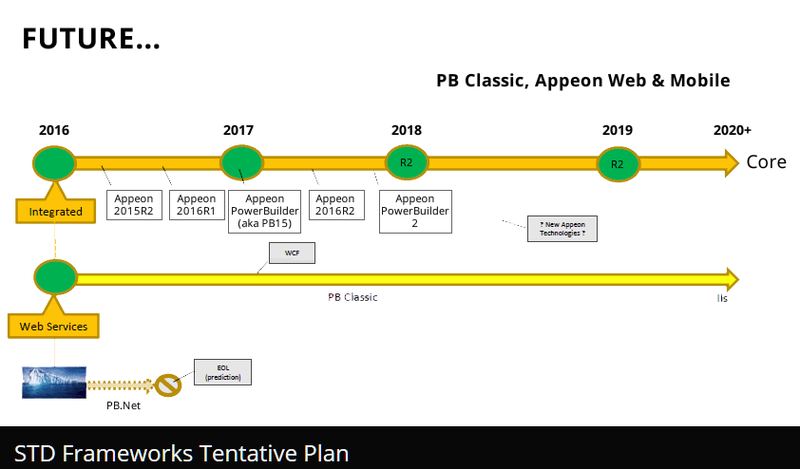 Software Tool & Die Inc (STD) is very pleased to announce that they have just released an updated version 2016R1-1 (Service Pack #1) build number 2016.1.1.59 of their Integrated Foundation Class library for PowerBuilder "Classic", Appeon Web and Appeon Mobile! 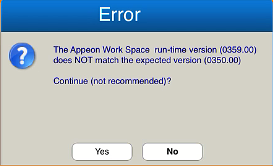 The latest version contains the following updates and has been tested with Appeon Server 2016.372.00 (GA) using the official MR (maintenance releases) of PowerBuilder "Classic" versions 12.1, 12.5.1 and 12.6. Testing inside of PB included Win32 (both P-code & M-code) deployments while testing inside of Appeon included latest Web Browsers, latest Apple Tablet/Smart Phone and Android Tablet/Smart Phone deployments. Updated the "of_messagebox" method in the "nc_app_controller_master" base class to bypass the logic if in "Silent" mode. The OrderEntry example application also updated! The updated open source STD Integrated Framework is free and can be downloaded by clicking here! New Release (2016R1) of the STD "Integrated" FrameWork! Integrated Foundation Classes (2016R1) Released! Software Tool & Die Inc (STD) is very pleased to announce that they have just released an updated version 2016R1 (2016.1.0.58) of their Integrated Foundation Class library for PowerBuilder "Classic", Appeon Web and Appeon Mobile! 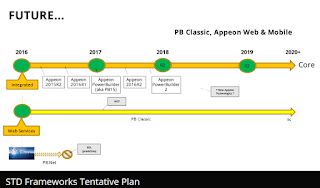 The latest version contains the following updates and has been tested with Appeon Server 2016.359.00 (GA) using the official MR (maintenance releases) of PowerBuilder "Classic" versions 12.1, 12.5.1 and 12.6. Testing inside of PB included Win32 (both P-code & M-code) deployments while testing inside of Appeon included latest Web Browsers, latest Apple Tablet/Smart Phone and Android Tablet/Smart Phone deployments. New LINE base class created - "vs_ln_master". New OVAL base class created - "vs_ov_master". New ROUNDRECTANGLE base class created - "vs_rrt_master". New RECTANGLE base class created - "vs_rt_master". Added more external Function declarations to the Application Controller base class (nc_app_controller_master). Added new Android, iOS, Windows & AWS version tracking variables to the Application Controller base class. Created new INI file default entries for the the Android, iOS, Windows & AWS version tracking variable value. Added code to check the OS version based on the environment (Web/Native/Mobile) to the Application Controller base class. Removed references to the old PocketPC/PocketBuilder variables in the Application Controller base class. Added a new function (of_check_aws_version) to validate the AWS version in the Application Controller base class. Added code to the "of_get_appeon_environment_info" function to validate the AWS version in a Mobile environment. Added code to the Application Controller base class' Constructor to initialize & process new INI values. 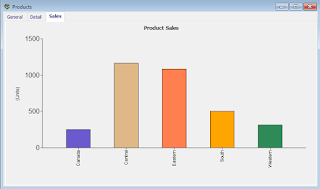 Added new Event "oe_graph_create" to the ns_ds_master DataStore base class. Added new Event "oe_html_context" to the ns_ds_master DataStore base class. Added new Event "oe_filter_activated" to the vs_dc_master DataWindow Control base class. Added new Event "oe_sort_activated" to the vs_dc_master DataWindow Control base class. 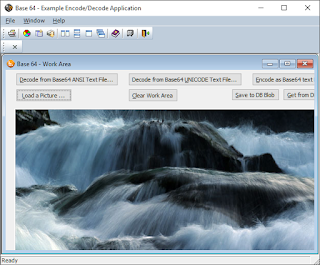 Added new Event "oe_erase_background" to the vs_dc_master DataWindow Control base class. Added new Event "oe_graph_create" to the vs_dc_master DataWindow Control base class. Added new Event "oe_backtab_out" to the vs_dc_master DataWindow Control base class. Added new Event "oe_html_context" to the vs_dc_master DataWindow Control base class. Added new Event "oe_message_text" to the vs_dc_master DataWindow Control base class. Added new Event "oe_print_margin_change" to the vs_dc_master DataWindow Control base class. Added code to the vs_dc_master RetrieveStart Event base class to support "oe_graph_create event in Appeon! Revised Resize logic in "wn_splash_master" base class to account for different rendering in PB vs Web/Mobile. 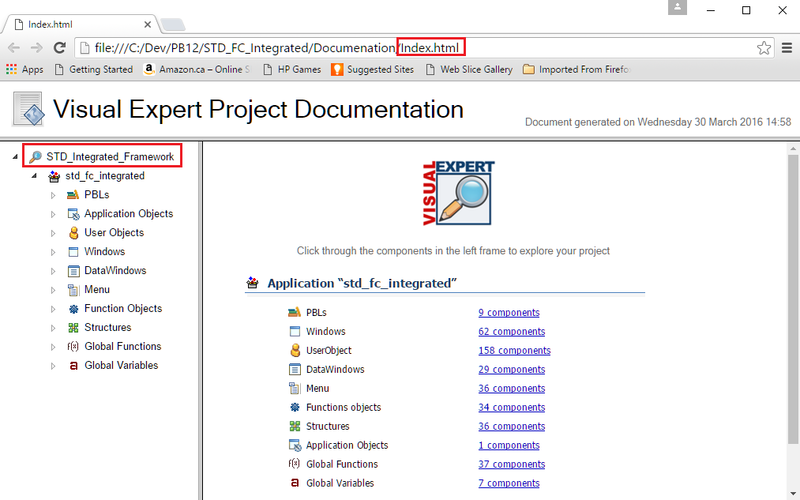 Rebuilt the framework's documentation set using VisualExpert 2015 build 2015.0.15.1109.